For Boston College’s Noah Hanifin, who’s the number one ranked defenseman—third prospect overall among North American skaters—in tonight’s NHL Draft, his bodily fitness hasn’t simply been just a hobby. It’s become a way of life. CHESTNUT HILL, Mass.—It’s one thing to play a sport. It’s another to love a sport. But the true test of character lies within the ability to dedicate mind, body and soul toward a discipline that will change one’s persona. Forever. 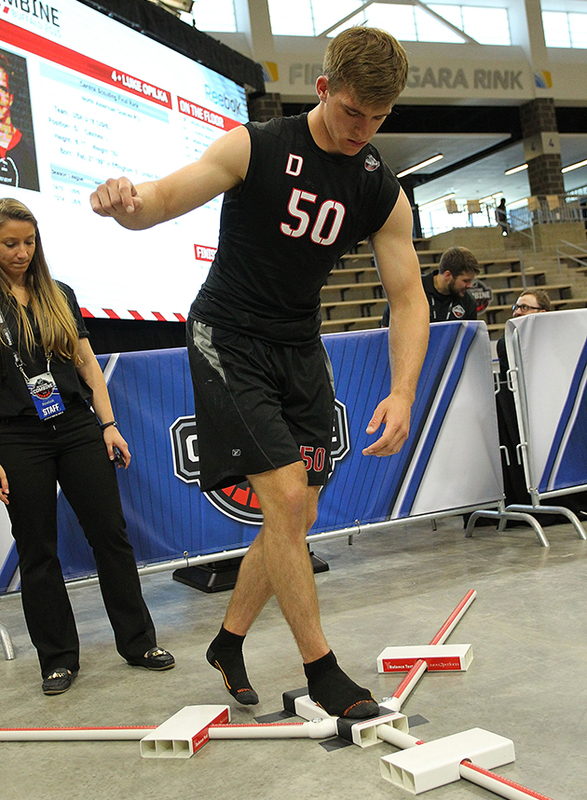 During this month’s NHL Scouting Combine in Buffalo, N.Y., which included strenuous fitness components, Hanifin executed his solid conditioning and finished in the top 10 in four tests. Hanifin’s biggest combine challenge—the infamous VO2max bike. met with SI.com on the campus of Boston College—just hours before the Chicago Blackhawks captured the Stanley Cup—to discuss his health and fitness, and its importance toward his craft. 18 years old 6'3" 205 lbs. Training grounds: Edge Performance Systems, Foxborough, Mass. Typical offseason workout: Four days per week—Monday, Tuesday, Thursday and Friday.